Conditions: Early spring, still good snow from the dump. Binding Adjustability: Everything is tool less. Highback rotation, straps, and forward lean. The forward lean is done through with the same bolts as the highback rotation. The sliders that sit on the inside of the highback are adjusted forward or back to make the highback contact the heelcup earlier for more lean, or later for less. Zero lean is a true zero forward lean. 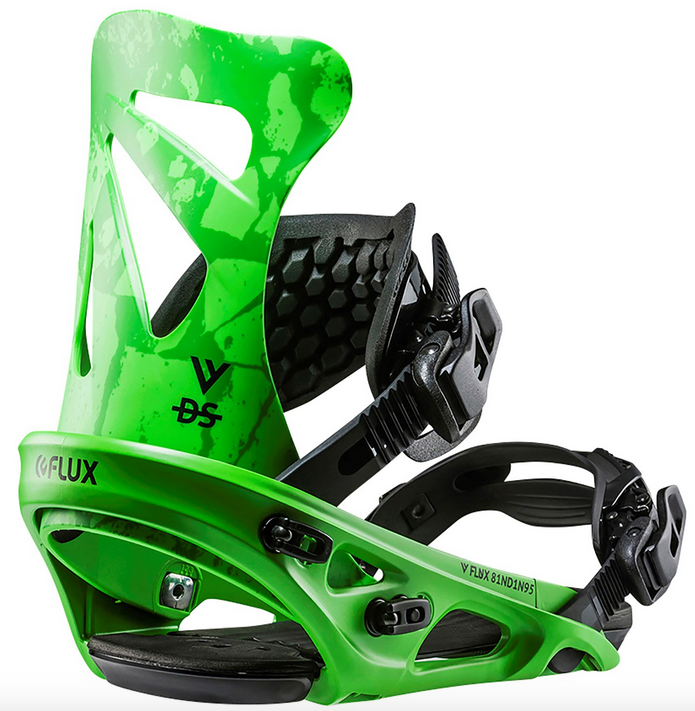 Straps: Flux toestraps are some of the best out there. Super simple all plastic so there’s nothing to rip or blow out. They spread out to conform to any boot shape I’ve had and stay put really well. The ankle strap is of the new full plastic net style that’s been the growing trend the last few years. It has a lot of drive straight forward but still provides a little bit of tweak to the side. It’s a little bit more responsive and supportive than the one from the last couple of year, but distributes pressure just as effectively. Ratchets: Smooth on and off with no issues. No icing or binding with consistent feel. Highbacks: A little on the shorter side with a little bit of back flex and medium torsional flex. It has a pseudo wing on it that does a good job keeping the supportive structure behind your leg as you move around inside the binding. It helps provide just a little bit more drive into the contact points. Binding Flex: Right in the middle. 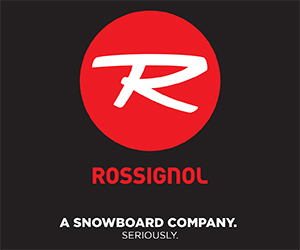 Solidly planted as a freestyle all mountain or bomber park binding feel with enough stiffness and response to get after it and enough flex to keep it playful. I chose to add the optional frame wings that come pop onto the underside on either side of the heel. They help stiffen up the binding laterally and also do a bit to soak up and tip chatter coming into the binding. Ride: They don’t have thick footbeds to them so you are going to feel more coming up into your feet and they don’t dampen big hits as well as some other stuff out there, but you do get a ton of board feel. I’m not a big rider and have a light footed style as it is so for me I actually really like this trade off. Rider in Mind: Freestyle all mountain, everything in the park. Personal Thoughts: This was a personal favorite of mine and rode it a bunch in the 14/15 season. The addition of the new ankle strap just makes it a little more versatile giving a little bit more support and drive toeside. There isn’t much to them, they provide a lot of board feel, and the highback is never in your way but always there when you really need it. Hey, always really like to read your stuff. Great and honest reviews. I will buy a new binding. Can’t decide between FluxDs and Malavita and Cartel. The Malavitas are 20 bucks cheaper than the Flux and the same price like Cartels. Depends what you’re using them for. 50% Park and rest all mountain and playing around with jumps over side hits and buttering. Malavitas might be too soft for you then, cartels or ds would be the better bet. Well the Contact Pros are a super surfy binding so if you want to go that route then have at it. Otherwise the DS should do well for you. I have recently bought the lib tech box knife. I prefer to ride %60 by doing ground tricks, butter, jumps (playfulness) and %30-40 powder and carving… Which binding would you recommend me to buy? Either will work. Contact Pro will have more lateral flex in it though.